After suffering a tragic accident as a child, Maggie Wilson has tried her whole life to regain the happiness she lost. She has been in survival mode ever since, dealing with a mentally unstable parent, having no one to turn to for help. Her desire to escape to a better future fuels her motivation and keeps her focused on what really matters, breaking free of the hell she lives in. Things at home are complicated and it’s easier to push people away than allow them to get too close. She doesn't let anyone into her life except her best friend Amanda. Maggie has perfected keeping secrets, maintaining her GPA and staying out of relationships. All her energy is put into her school work so that when she graduates she can leave for college and forget her past. All of that changes when she meets Vincent Moreno. His reputation precedes him but she quickly discovers there is so much more to him than what you see on the surface. He manages to wiggle his way into her life despite her efforts to keep him at a distance. As Maggie starts to open up she realizes how much she needs someone like Vince in her life. They form a connection like no other and it has her reconsidering everything. I was asked to review this book for about months now, but ever since I received the copy I haven't got the time to read it, now that I got the chance all I can say is that the book breaks my heart into pieces but it heals on it's own but the ending... I want more it left me hanging! Please ...? I didn't read the excerpt to be honest because I want the whole book. 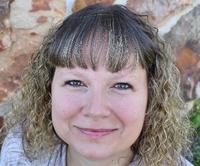 The book is written in a first person perspective. I like when the book is like that it's like I am the character. I like the whole story, it didn't give me a hard time reading. I just continue flipping the pages to another and I'll figured out I'm in the next page already. I enjoyed every part of it. I am get carried away every time Maggie is being hurt by her mother because.. it just breaks my heart I was suddenly wishing Maggie calls the police or let someone help her but she is so strong and amazing girl. Years of torture yet not once she did report her mother. Yes that's so much love. I like her character it teaches the readers some lessons on how to deal with life. It is amazing really. Her romantic life is just so lovely. Maggie and Vince's chemistry is just unbelievable. I knew from the start that there will be something awful to happen and I am just so afraid that I will reach that part soon. And when it did it breaks my heart into a million pieces and I am mad at Vince for doing such a stupid decision. My first reaction was "what the hell in the world were you thinking man?!" If they're real I want to hit his face. But their relationship is so perfect and that's the kind of relationship that every girl wants. I like how they take things slow and I love how patient Vince was. I hope all guys are like that adorable man but don't be a heart breaker. It's awesome that a book like this was dropped to my inbox. I am just so glad the author trusted this to me and here's my honest review. The book is really awesome even the cover (that's the first time I saw the cover) and I really love its content. I can't stop smiling every time I read things about Maggie and Vince. I like how things gets smoothly and I like how "Slick" becomes "I love you too". It is just so awesome. Great book, and readers must try reading this. Hope there is a printed copy! I badly want one in my collection. I currently live in Texas with my husband and two beautiful children. I graduated from Wright State University in Dayton, Ohio with a degree in Social Work. Although I was mostly raised in Ohio, I am a Texan at heart and glad to be back home. 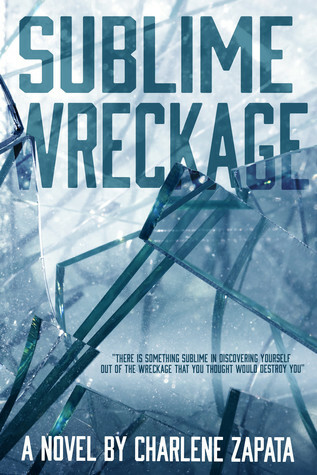 Sublime Wreckage is my debut novel and will be followed by Sublime Resistance in December 2014.